Please be punctual! We work by appointment and the allotted amount of time is booked at your request. We do not double book appointments and a No Show is lost income. We always send reminder messages to the mobile telephone number advised. Please ensure you confirm attendance to your appointment. 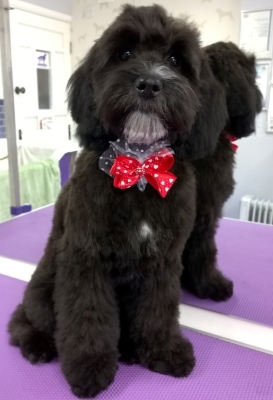 Our groomers all love animals and have years of experience with animals including their care and training. The owner must inform us before the groom if their dog is known to be aggressive or has ever bitten anyone. The owner understands that they will be legally liable for the consequences of all bites caused by their dog. A muzzle may be used where deemed necessary. Dip, Snip and Clip Dog Grooming reserve the right not to groom a dog if it shows unmanageable aggression. In such an event, the owner will be contacted immediately and asked to collect their dog. Throughout grooming, we take the utmost care to ensure the health, safety and wellbeing of your dog. However, Dip, Snip and Clip Dog Grooming is not liable for any pre-existing conditions and problems found throughout the grooming process. Any advice given regarding health problems is our opinion only and should be followed up with advice from your vet. All clients are requested to sign a dog grooming customer care card and are asked to inform us of any known medical problems, allergies, etc. Please also inform us of any changes in your dog's health/details accordingly. In the event of severely matted/overgrown coats and the need to clip down, the owner should be aware that irritation may occur from the shaving process. These matts tend to be located very close to the skin, around the ears, neck, armpits and groin. The owner agrees that Dip, Snip and Clip Dog Grooming will not be held liable for any after grooming effects or problems uncovered on a severely matted or neglected coat. A disclaimer may be required. In the event of injury or illness, a vet may be sought and all costs will be at the owner's expense. Your dog may be photographed before, during and after its groom. These images may be used on Dip, Snip and Clip Dog Grooming's website/social media pages etc. for marketing purposes, unless you specifically request us not to do so. Any such request not to be photographed will be detailed in writing on our dog grooming customer care card. Full payment is required on collection of your dog. Cancellations must be made more than 24 hours before your appointment. Failure to do so will incur the full fee to become payable and you may need to pre-pay for future appointments. Please ensure your dog has been given the opportunity to go to the toilet before arriving at the salon, whilst we understand accidents can and do happen, we would really appreciate if they do it before visiting the salon so that we can keep the area as clean and fresh as possible for all of our clients. If your pet will not tolerate the presence of other dogs in the salon we can arrange salon exclusivity at an additional charge. Please contact us for further details. We routinely complete a thorough health check before and during the grooming session. If anything untoward is discovered we will notify you but it will then be necessary for you to consult your vet as our groomers are not medical professionals. Owners are required to advise of any health issues that have developed since the last groom appointment. We hold full Public liability Insurance in the event of damage, accident or loss to your pet or our staff. Please ask for more details if necessary. Our insurance certificate is on display at all times. Neglected, matted fur on your dog may result in us having to clip close to the dog's skin. This can in some cases cause skin irritation or skin nicks from the close shaving. You agree that Dip, Snip and Clip Dog Grooming will not be held responsible for any affect that this has after the grooming session is complete. Badly neglected coats can be especially prone to this. The owner of the dog agrees to pay all costs for the grooming of the dog, including de-matting which is an extra cost, whether or not the groomer is able to complete the job. The owner will be required to sign a disclaimer form. Refusal to do so will result in the groom being refused and full cost still being due. Dip, Snip and Clip Dog Grooming takes your privacy seriously and is committed to protecting your personal information. This notice sets out how the information that you provide me with is used so I can provide you a grooming service. I will need to collect data such as your name, address and contact details. I need these so I can contact you to collect your dog or if there is a problem. I will also need details about your dog including the vets you use and any medical conditions or behavioural issues he/she may have. Without this information I cannot provide a safe grooming service. Your Client Record Card that is/ was completed on your first visit to the salon is kept in a locked metal filing cabinet in our storage area. Your first and surname, your street name (not number), Town, Mobile and or home contact numbers, Pets name, breed and grooming details. No other information is kept electronically, however, the computer is password protected at all times, with only myself knowing the password. Your phone number may also be saved as a ‘contact’ in my phone for ease of use which it protected by a fingerprint identity unique to me. is element represents the description field. You can edit text on your website by double clicking on a text box on your website. Alternatively, when you select a text box a settings menu will appear. 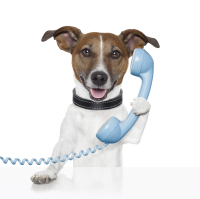 Your personal information is only kept in order to make, confirm or alter grooming appointments for your pet and to advise when your pet is ready for collection. DSC will not rent, swap or sell your personal information to other organisations for them to use in their own marketing activities. DSC will also NOT use your information for any marketing purposes. How long do I need to keep information? In accordance with Data protection, all paper records will be kept for 7 years, and will be securely destroyed after this time. 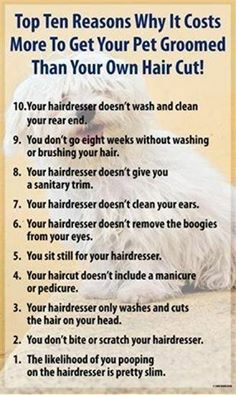 Please advise us before your grooming appt if your dog is suffering from fleas. We will aim to schedule you for the last groom of the day so that the salon can be treated afterwards. Failure to do this may result in your dog being turned away on the day, with full payment being due.